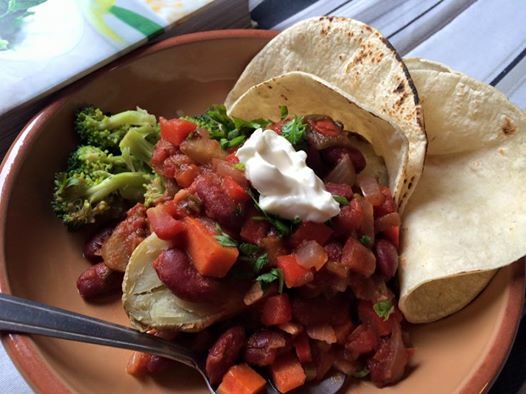 I opened up RIVER COTTAGE VEG today and picked out the chili recipe because I had similar ingredients and it sounded like it would be good with baked potatoes and corn tortillas. Mmmm! The recipe calls for pinto beans and zucchini which I substituted kidney beans and carrot. It came out delicious. First time I've ever added red wine to chili. I added a bit of chili powder because I felt like it needed it. And because I can't live without cake, I made a fat free cake which I got from The Fat Free Vegan blog. I've been making so much cake for the past few weeks/months that my dresses are fitting kind of tight lately! I've made this recipe probably 8 years ago when I first went vegan. 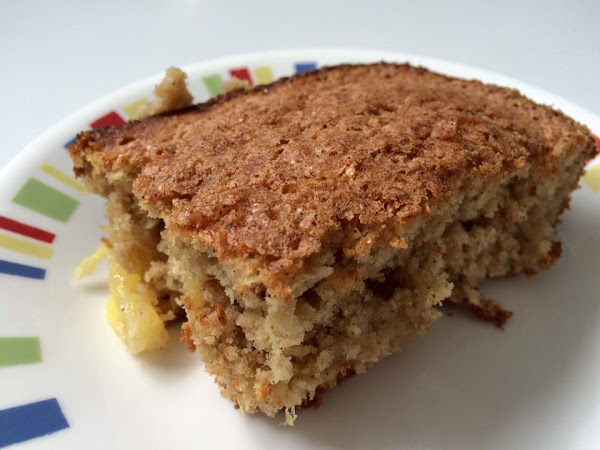 It uses pineapple and apple sauce for the fat and has much less sugar than a normal cake. It was good then and it's good now. It's got a 'chewier' consistency than normal cake (probably because I used tapioca flour for the egg replacer) but it is a nice sweet treat without the guilt! Pizza with Trader Joe's vegan cheese. Armenian Lentil Soup, Garlic Cheesy Bread, Cake! Tender Greens and some vegan snacks.